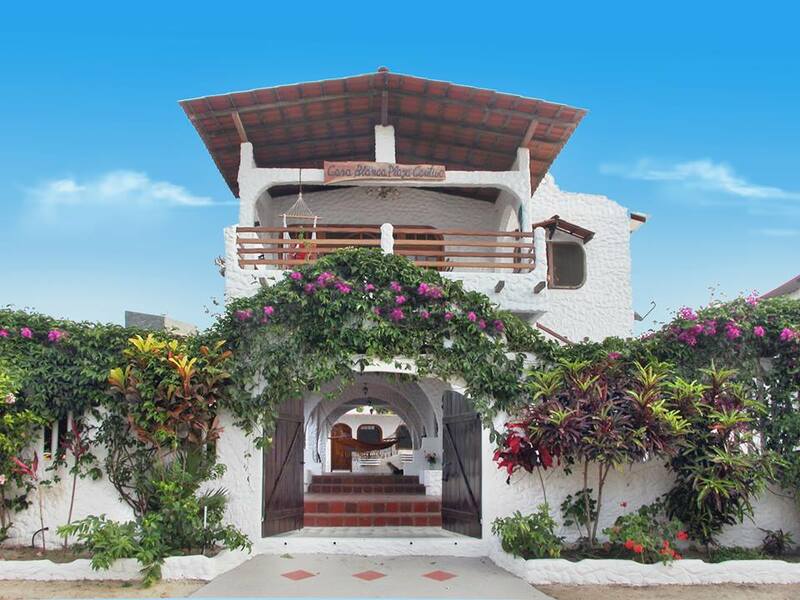 Enter the front gates of Casa Blanca Playa Cautivo and you are entering an oasis of tranquility. The sound of cascading water, the smell of flowers permeates the night air and the sight of fresh fruit dripping from mature vines and trees. The property itself is over 800 square meters giving everyone plenty of elbow room with an abundance of lounging areas throughout the property. The pool and BBQ area are surrounded in lush, mature tropical flowers and fruits ripe for the picking. Surrounded by a 10′ perimeter privacy fence with security cameras, your safety is important to us. Depending upon the time of year you visit, you can choose to pick ripe bananas, mango, passion fruit, lemon, limes, guava, noni fruit, and don’t forget fresh lemongrass tea! Just steps from quiet Cautivo Beach and only 10 minutes to the tourist mecca of Salinas, you can experience the best Ecuador has to offer. Catering to the longer stay traveler (1 week & up). 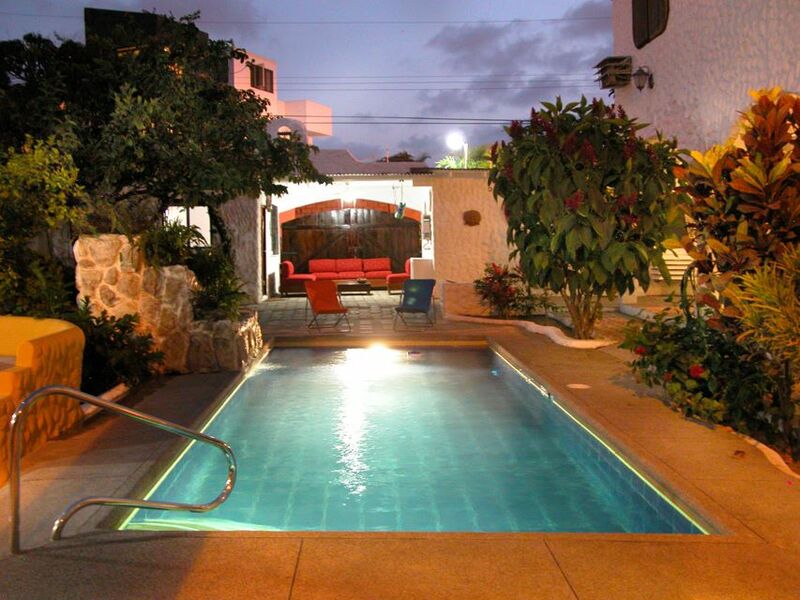 If you are looking for a clean, comfortable, tranquil and tropical setting; Come join us at Casa Blanca Playa Cautivo!